Data sorting by customer groups. × Meet powerful integrations for completing the statistics view of your store. Monitor and control customer actions with Magento 2 Advanced Reports, Magento 2 Refer a Friend and Magento 2 Reward Points. Analyze the data received and plan a successful business strategy! Explore detailed data aspects, up to particular products, each purchased item, etc. Keep track of your KPI’s with the Magento 2 Advanced Reports extension! Get a performance overview from a single dashboard. View details in 12 Magento sales reports. Break the data in reports by individual aspects (via report drill-down). Compare indicators by custom time spans. Sort your Magento 2 advanced reporting by user groups. With our Magento 2 reporting extension, you can take a brief look at the key performance indicators. They presented in the designated dashboard split by 8 numeric and 2 chart widgets. Save multiple dashboard views with different widgets as bookmarks. All widgets in the dashboard related to a particular report. Except for the ‘Forecast: Sales’ widget that helps you predict your monthly sales in terms of totals and items ordered. Get a holistic Magento 2 reporting with 4 general and 8 detailed reports. 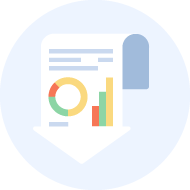 From overview to specifics: explore the data in reports in depth. View sales figures by particular products, time periods, coupon codes, and more! You do not have to waste your time calculating profits - our Magento 2 reports extension will do this for you! Monitor profit totals in the ‘Product Performance’ report. Evaluate the success of your business via the data comparison feature. Collate data by predefined or custom time intervals. Access the performance stats per each user group separately. Option to select a manufacturer attribute. Store Credit and Refund integration. How Advanced Reports Magento 2 extension beat the competition? Ecommerce is about increasing conversion. Still, every merchant needs an analytical tool that will allow tracking conversion dynamics and timely respond to any possible negative trends by changing the marketing strategy. That's where the ‘Traffic and Conversions’ report comes into play. It allows gauging the marketing results with four simple yet effective steps. Utilize yet undiscovered marketing channels to bring new users to your web store. It may be banner advertising, Google ads, contextual advertising - anything that may help you reach a spike in traffic and then sales. View the ‘Traffic and Conversions’ report to see how new marketing channels changed your visitors' flow and conversions in comparison with the previous time periods. Break down the reporting period by weeks or days and apply the required filters to see the dynamics in more detail. Click on the particular time period in the grid to proceed to the 'Product Conversion' report. Here, you can see the number of unique visitors, orders, and conversion rates related to particular products. Click on the particular product in grid to view its performance that can be broken down by days, weeks, quarters, and years. From the data provided, you can decide whether the product’s conversion rates should be further improved by performing certain marketing activities related to that product. The report proves to be an invaluable tool for tracking the effectiveness of your marketing campaigns in the context of individual products. Ensure accurate data reporting for average and big online stores within a reasonable time. Forecasting demand, optimizing prices, and increasing profits are the goals that are perfectly applicable to any business, but they are just impossible without proper and accurate reporting tools. However, this initially difficult task becomes even more complex for middle and large companies, or even enterprises. Immense amounts of orders, customers, invoices, etc., in such stores, sometimes, break data processing or slow it down incredibly. Magento 2 Advanced Reports avoids this hurdle through data indexation. All reports use the pre-generated data and are rendered without any delays. The default data reindexation goes daily, so all the reports provide the data based on real-time analytics. Additionally, you can reindex data manually anytime you need to update the source data. According to our investigations, our extension fluently processes even the stores with more than 200 thousand orders. This way, Advanced Reports is perfectly suitable for middle and large Magento 2 based stores. Take advantage of the extra metrics to obtain additional business information immediately. By default, Magento 2 provides a lot of valuable raw data by default, including revenue totals and subtotals, tax amounts, items sold, different kinds of prices, etc. But sometimes, you need to receive some aggregate or extra metrics automatically and immediately without any additional calculations. So, in addition to the above data, Advanced Reports for Magento 2 also provides several custom metrics related to sales averages and profits. Average Order Value. Usually, average order amounts are related to different customer groups and their purchasing patterns. There are two general ways to increase AOV: you can either encourage customers to get more items per one order or purchase more expensive products. This way, AOV is extremely valuable for sales and promotional campaigns when you need to compare the metrics before and after. The Advanced Reports extension allows you to track AOVs closely and timely react to possible decreases. Average Final Item Price. The average final price metric is quite similar to AOV. Often, especially during sales, average item prices decrease as a result of price cuts, but the average number of bought items should exceed this deduction to get you more sales. With Advanced Reports, you can easily monitor this indicator. Total Profit by Products. Top-selling products are not usually the most profitable ones and despite high revenues, they can bring only small profits. Meanwhile, some midrange items requiring much less efforts and investments can provide more profit through comparatively small individual incomes. ‘Total Profit’ is the metric that allows you to distinguish products with higher profits and focus on them beneficially. Total Margin by Products. Profitability is the most important parameter for any profit-oriented business. The difference between the items with biggest profits and the highest profitability is just like between the effect and potential. If used properly, the items with highest profit margins are extremely efficient sources of profit. 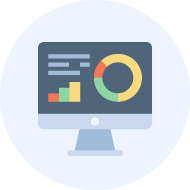 Advanced Reports allows you to distinguish the most profitable products among the existing ones on the fly. This way, you will get a chance to constantly improve product catalogs adding more and more profitable products knowingly. All the additional metrics provided by the Advanced Reports extension for Magento 2 measure your success professionally and are extremely important for performance tracking, which allows you to make grounded decisions. Get instant access to the required information and save time when reading multiple reports. In addition to the accuracy of data and excellent performance, the Advanced Reports extension for Magento 2 also provides users with the great UX and usability enhancements. Accessibility and navigation. Admins have a direct access to the provided reports either from the main Magento 2 menu or from the built-in extension’s menu. Certain reports are directly linked to the default Magento data. For example, if you need to clarify some additional orders, product or customer attributes, the Magento 2 ‘Sales Detailed’ report allows you to enter those sections right from the report grid. The module also provides admins with the ability to create custom reports with bookmarks and track only the data they need without any distracting information. Visibility. All the provided reporting data is arranged and displayed in the most visible manner. In particular, the totals in charts and total dashboards right below the charts are presented with own colors for better perception. On mouse hover, chart markers display the information related to the highlighted analytical period. Design. The convenient built-in calendars enable customers to easily switch between analyzed periods. Clear and convenient reports save a lot of time and efforts on data navigation, information analysis, and interpretation. The 2.0.0 version brought indexation into play. It means that all the report data comes pre-generated, and when you load a report, the data is displayed on your screen without contacting the store server. By default reports are reindexed once a day so that data will always be up-to-date. The Advanced Reports extension was designed to work with numerous orders. With a decent server hardware, the indexation of 200k+ orders should not take more than a couple of minutes. This way, generating a report for an order-heavy store will NOT result in an extreme server load or any downtimes. illustrates general store performance by monitoring overall sales numbers. splits total sales by products and allows monitoring performance of each individual product with profit and margin calculated. splits sales by categories with a number of different stats available to compare the performance of individual categories. offers a sales breakdown by items sold. includes a sales drill-down by state, region, and city to analyze sales by locations. allows tracking the number of abandoned carts, lost revenues, and abandonment rates. shows the number of orders and sales details resulting from coupon usage to track the success of coupon-based promotions. displays sales data grouped by manufacturers. Manufacturer attributes can be selected in the extension’s settings. provides perfomance statistics for any given product or attribute combination. with the ratio of unique visits to orders. The report features three drop-down reports: by time periods, general, and detailed product perfomances. Segment customers by the total sales for specified period. Understand what segment brings the most revenue. Edit and add new segments as you introduce new promotional campaigns. Get to the customer details page right from the report chart. Each chart parameter comes with a distinctive color code improving data visualization. Compare sales between different periods to see the difference and trends on graphs. The most important report details, such as order totals, the number of items ordered, the number of orders placed, are now represented in a distinctive block below the report chart. With a mouse hover over a particular chat marker, you will get its exact value. Calculate profit and profit margin for each product. Each report has a number of sub-levels. For example, by clicking on the date range in the ‘Sales Overview report’, you will proceed to the ‘Product Performance report’ to view the detailed stats for this date range. Each report comes with a corresponding set of filters. 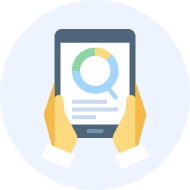 You can filter data by customer groups, SKUs, any of the totals available, discounts applied, and many more. Advanced Reports use the most recent Magento 2 UX practices making all grid columns sortable and filterable. You can remove almost any report table column, add the relevant ones for the current task, or change the column order as you need. Configure order statuses to be processed by individual reports (at the reports level) or by the whole extension (in the general settings section). For precisely targeted sales data, reports can be filtered by customer groups.. Flexible calendar allows viewing data for a custom period and splitting the period by weeks, days, etc. Moreover, the selected period and scale remain the same as you move between the reports. Any report can be exported in either the CSV or XML file format. The data represented in report tables is interconnected with Magento 2 entities. Clicking on the order ID gets you to the order details page, clicking on the item gets you to the product page, etc. Having customized the report table and applied the filters, you can save it as a bookmark to quickly load it whenever required. You can have a bookmark for any situation and any report. We have used your extension for Advanced Reports for a while now, and we are very happy with it. Overall is good this extension. thank you. Reports work perfectly fine, I can’t thank you enough for your time and for your help with installation! We really appreciate it, thank you again for the excellent service and excellent product! Very useful tool for monitoring sales and promos with coupons and tracking abandonment rate for shopping cart. We use it together with Follow Up Email and can definitely see increase in sales. I just realized I purchased an amazing extension!!! Thanks to Aheadworks for brilliant support and for the advice. This extension is what I really needed for my project. Perfect design, all needed functionality in one extension. I've just bought your Advanced Reports for Magento 2. I like that you can retrieve sales by combination of attributes and track sales and promos results. Great interface, relevant data, works quickly. What else do you need from a reporting tool? The interface is great, it's very to jump from one reprot to another. Works really quick and more cpu-efficient comparing to AdvReports on Magento 1. We bought this extension after we had moved to Magento 2 and we are quite happy with it. Drill down option is very handy and besides, aheadWorks team promised to add the margin report soon. Their products are really good and the team is really professional. I have set a time period but no orders are displayed in reports. What can be wrong? Most likely there are no orders with Complete status placed within the configured date range. I would suggest that you check Order Statuses selected in general Advanced Reports settings as well as in the settings of a report viewed. We need a conversion report. When are you planning to implement it? The Conversion report is available since version 2.2.0. The information about payment method is taken from the actual orders, so it will show all methods which were used in the selected period, exactly how they are displayed in the orders, even if that payment method is inactive or has been renamed.